When wedding bells ring, the day is a glorious one. It is filled with laughter and celebration, everyone is happy and smiling, and it is a memorable day for the bride and groom. After all the guests leave and before they have their honeymoon night, traditionally the new husband and wife look forward to opening up their gifts. For one couple however, they left one unopened on purpose. 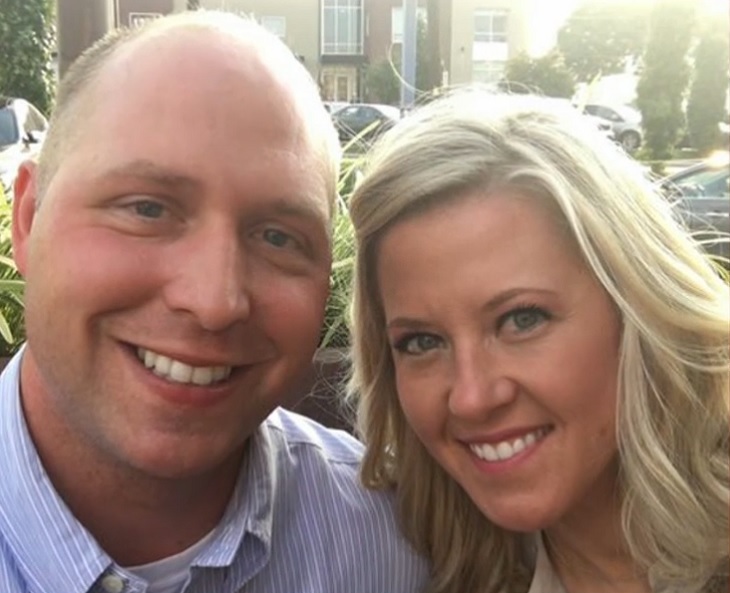 Kathy and Brandon Gunn have been married for nine years, but up until recently they still had one unopened wedding present sitting in their closet. 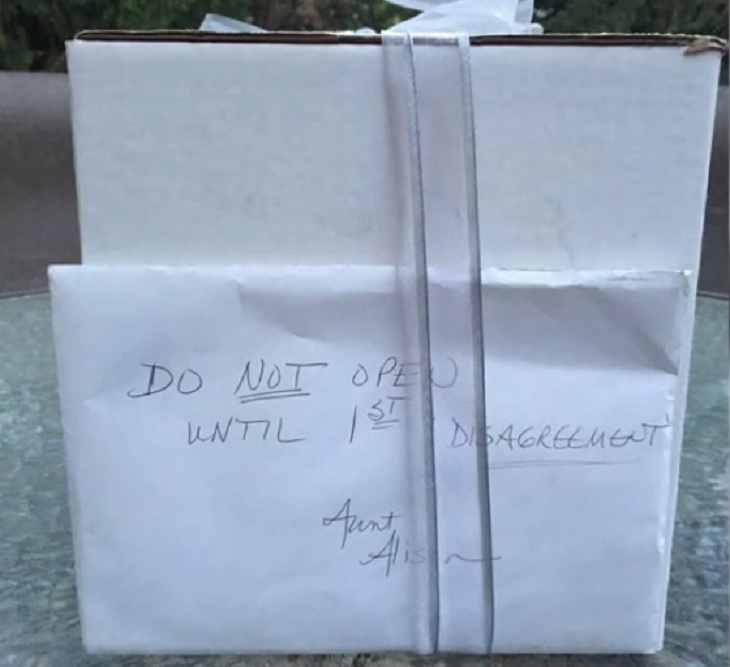 They were married on September 1, 2007 and have refused to open up their last remaining wedding present this whole time. It was just sitting in their closet, waiting to be opened, but Kathy and Brandon never wanted to. They hadn’t actually, until they finally decided to do so this past May. 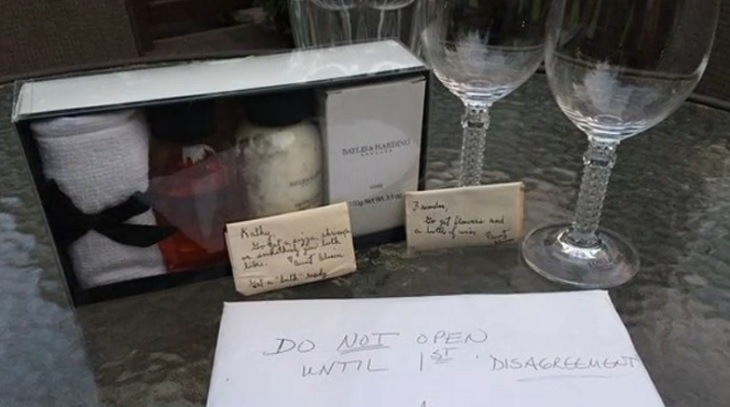 So on that night in May when they were reminded of their own unopened present, Kathy and Brandon were sitting out on their deck together and enjoying a glass of wine. They finally decided to open aunt Alison’s wedding present up, and they were happily surprised with what was inside the box. Kathy and Brandon ended up finding two hand written notes wrapped around some cash, bath products, a vase, and some wine glasses inside. 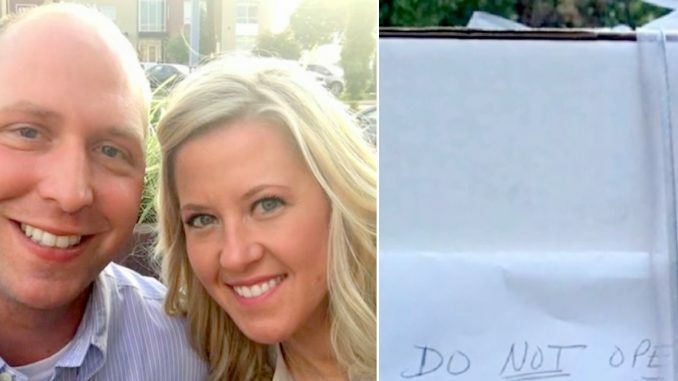 One of the notes was addressed to Brandon while the other note was addressed specifically to Kathy. 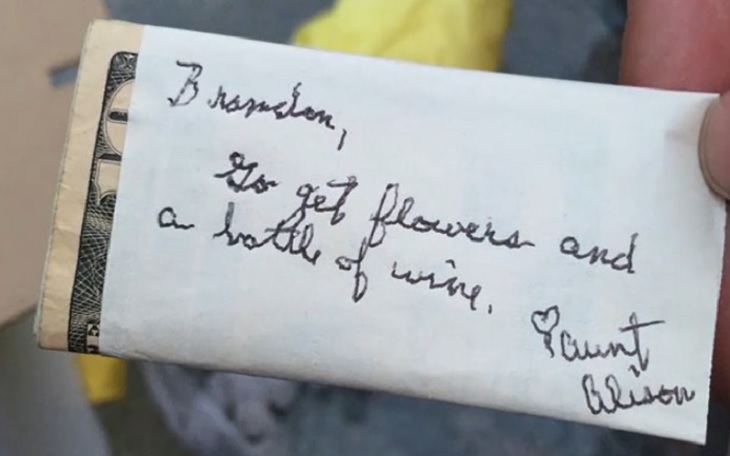 Brandon opened his letter up and was instructed to use the cash to buy flowers for Kathy along with a bottle of wine. 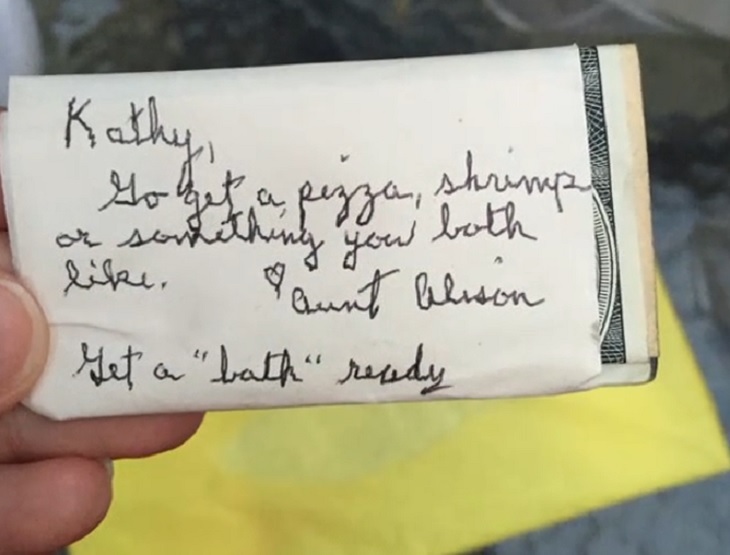 Kathy opened her letter up and was instructed to buy a pizza and to get a bath ready. It is so beautiful to see Kathy and Brandon strengthen their marriage with one another even after all of these years. By waiting so long to open up that wedding present, they have only grown closer together by accepting the lessons that were found inside. Watch this video to learn more about this beautiful story.